I knew it was happening. It was running slow. It would crash unexpectedly. Sometimes the screen would flash as if it were speaking to me in morse code. "DYING," I imagine it was telling me, followed by "SORRY" because my electronics have manners. I'm talking about my old computer by the way. "Come back," I whispered to my computer as it crashed again. "Who are you talking to?" my baffled husband asked. "Sven, my computer. I think it's time to move on. We've had a nice few years." I pretended to brush away tears. My husband walked away muttering something about being married to a nutcase. But, you know, I'm a blogger. And I need a working laptop to, you know, BLOG. If I don't have one, I don't get jobs, which means I don't get paid, which means ramen for the rest of the month. I knew it was time to head to Best Buy to find a laptop. Best Buy has a fabulous selection of laptops and yes, you can try them out. My daughter immediately started checking how they worked. "Look, I'm you," she said, typing something on one. 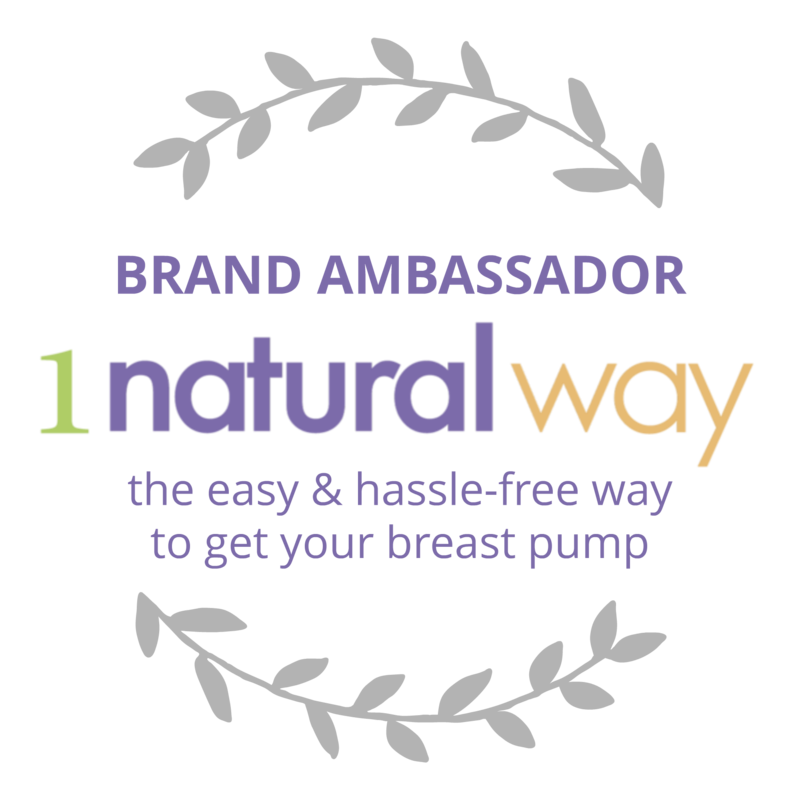 "La-la-la, this product makes my life easier, la-la-la." "Pardon me, I don't go la-la-la," I answered. "Unless it's Friday." I purchased the Lenovo Yoga 720 laptop in the Windows section of Best Buy. If you're curious on how bloggers stay sane, let me tell you. 1. Have a working laptop. I mean duh. But when I say this, I mean it needs to work quickly. I do not have time to wait for things to load. 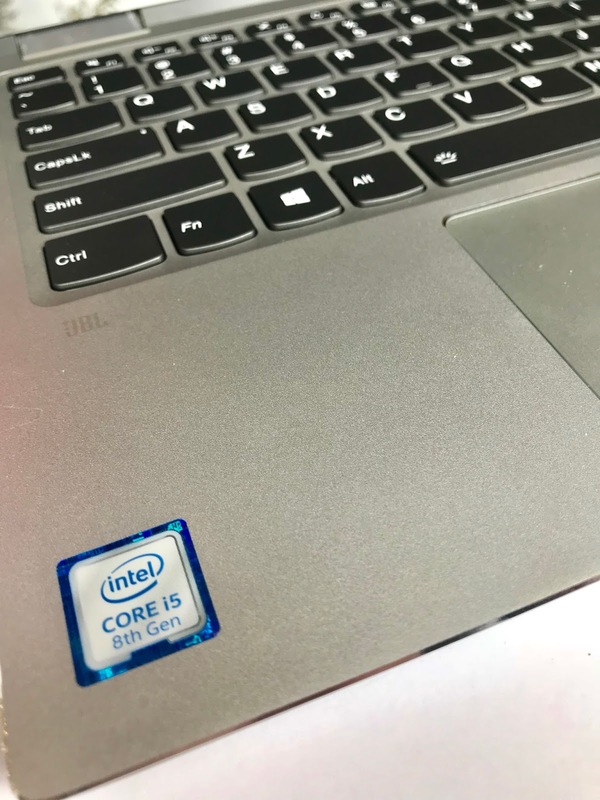 With Intel’s new 8th Gen Intel® Core™ processor, I don't have to wait forever. I can even multi-task: I can be checking my e-mail while using Windows Ink/3D. 2. Make sure you have a fast laptop. Bloggers are normally doing many things at once and don't have the time or the patience for slow. As I mentioned, with the 8th Gen Intel® Core™ processor, I don't have to wait forever to get all of the things on my to do list done. Return emails. Check. Edit photos. Check. Complete a blog post. Check. See how the royal wedding planning is going. Check. 3. Taking breaks is important. You HAVE to take breaks or you'll lose your mind. 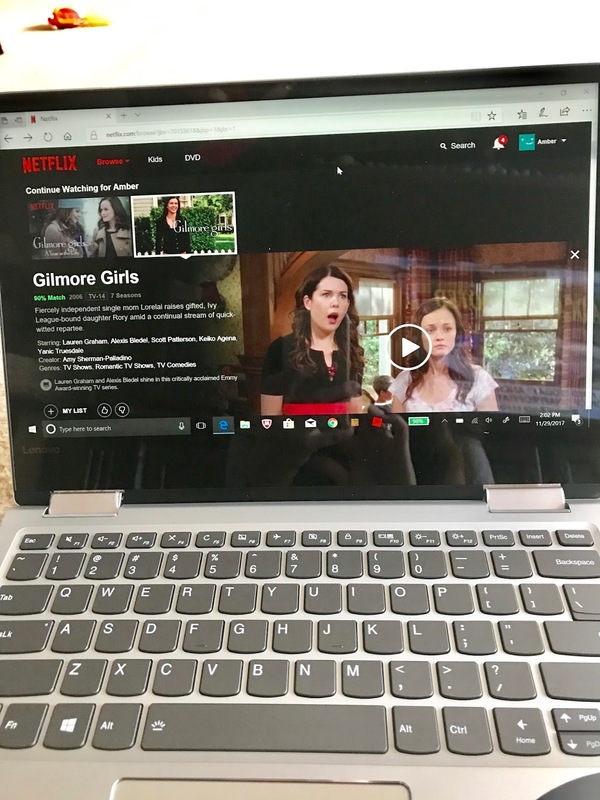 I take breaks by watching Netflix on my new laptop. My battery life has up to 10 hours, so I can binge-watch a show and not have to worry about it shutting off on me. I can also stream 4K UHD videos. The possibilities are endless! 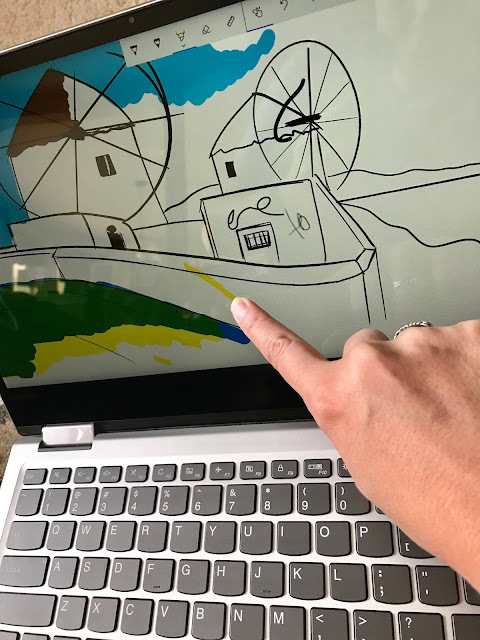 I can also color with Windows Ink. It's calming. 4. Leave yourself reminders. Some bloggers have a planner. I use the nifty sticky notes on my laptop because sometimes I forget that I have to make dinner. I can either write with a pen or use my fingers! So cool. 5. Take time outs. Oh, I said this, but it IS important. I love how this laptop can turn into tablet mode. I freaked out my daughter by doing this, because my old laptop didn't and she thought I was cracking it in half. "STOP! You just GOT that!" she yelled and I was all, "Tablet mode, dear!" I mean, this goes along with taking breaks, but it can be relaxing building your own town on Minecraft. My daughter taught me how although I still somehow get stuck and she'll sigh and go, "Gosh, old people.."
7. Have easy ways to look things up. Sometimes when you're working on a blog post, you need to make sure your facts are correct. 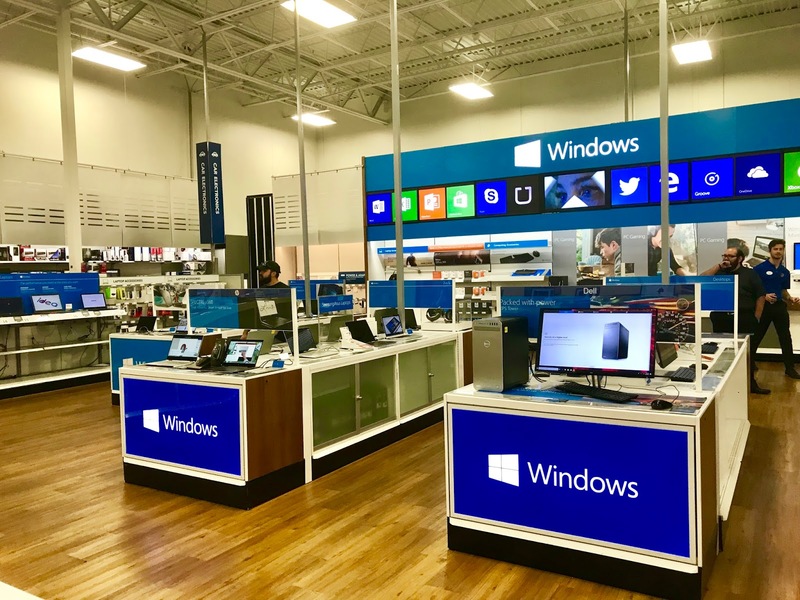 This is where Cortana voice command comes in. You ask her a question, and she gives the answer. I asked for a geography tidbit here because I had watched two episodes of Real Housewives and felt like my brain cells were fried. Cortana helped my brain. She can also be silly and tell jokes! Ask her anything! 8. Having the peace of mind that your laptop is safe. It is a complete nightmare to know that a laptop has a virus. Or that someone has stolen information. But the security features of the 8th Generation Intel® Core™ processor helps to keep everything safe. My laptop has stronger security against hacking, and I can use fingerprint recognition when I online shop. I smiled. You couldn't write on the screen with my old laptop. Well, I mean, you could, but it would break. 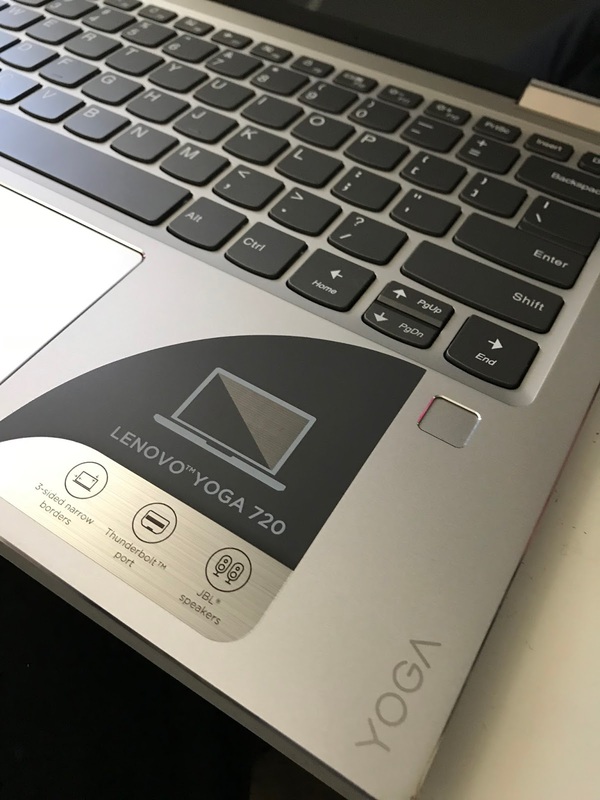 I know I'll love my Lenovo Yoga 720 with the 8th Gen Intel® Core™ processor because I can get so much accomplished. How do you keep sane? 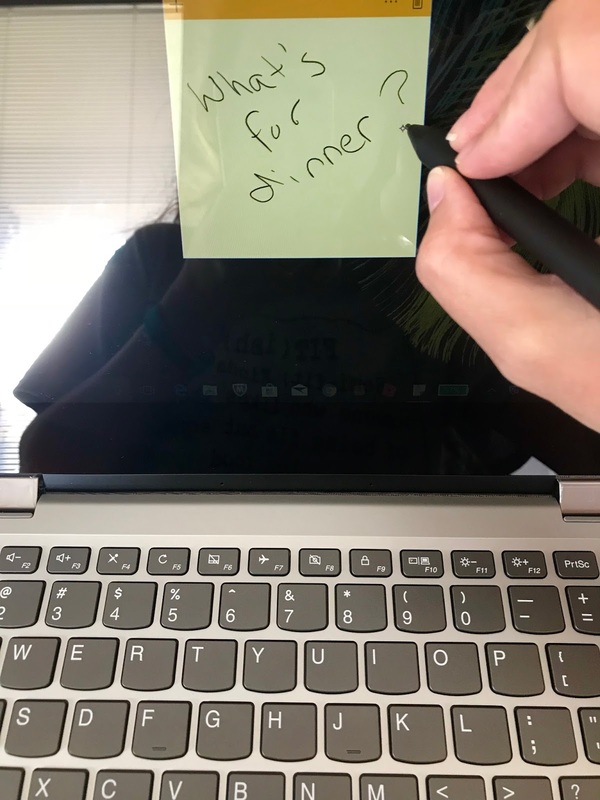 Can you write on your laptop screen? There is a lot to be said about a working laptop LOL! When mine was broken last year it was impossible to get stuff done from my phone. When my laptop broke last year, my husband gave me his new one (I needed it more than he did). He had built it and it does ridiculous stuff, and it has a touch screen. It took me forever to get used to that. Nothing is worse than a blogger's computer dying. I completely feel you on this one girl!! I recently had a laptop crash and it was a pain trying to work through it and get a new one. UGH!!! When my laptop crashed last year I completely lost it - oh, and I lost photos for posts. These days, I always have a backup laptop just in case. I love your new one! I went through this exac thing a couple of months ago. I am a blogger as well as a student. Nothing is more scary than a laptop that has given up! 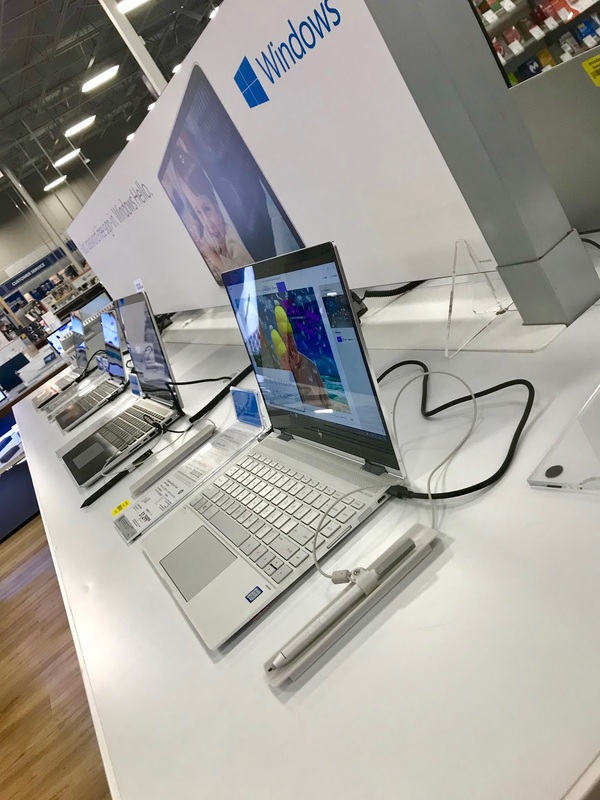 Best Buy is great, I went there with my friend a few days ago looking at laptops. Having a slow computer can test ones patience. OMG I think that's so cool that you can color on it!! 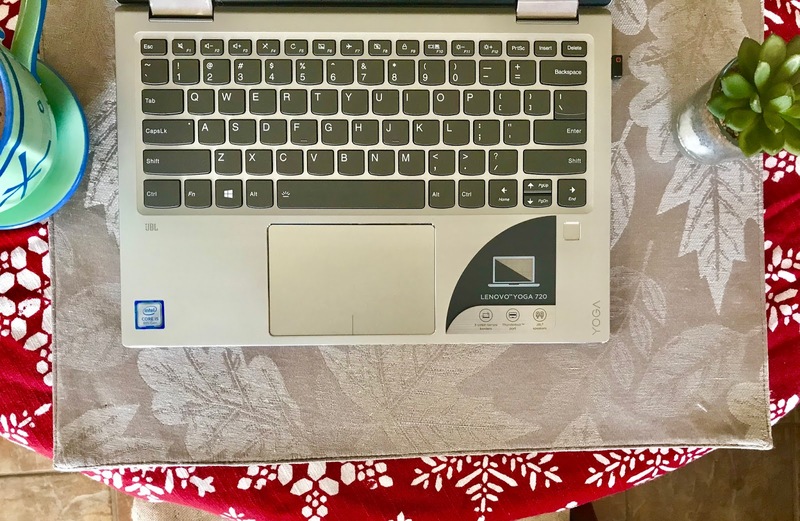 I had a lap top that was older when I started my current blog a few years ago, and as much as I loved the fact that I could move from room to room, I decided when it died to go desktop! I love it. However, now that I'm working full time and over time on the blog, I need a laptop from time to time. Plus I WANT to write on my screen! It cut my comment off before I was finished?? Absolutely! A fast working laptop and high speed internet are a must. 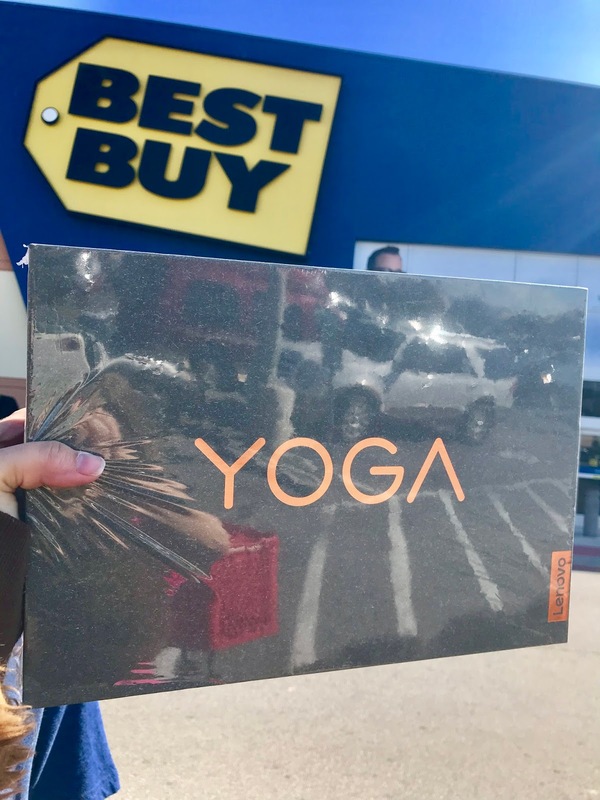 The Yoga sounds like an awesome computer. Will have to check them out next time I'm in the market for a new computer. I's so cool to a have a laptop with all those new features then! This is why I'm insane. I have no laptop! I have to work at home only and I can't go have fun in a coffee shop. It's mostly because I need my giant desktop computer for photo editing, but maybe I can have both! I do travel a lot. I love my laptop and would be lost without it. While visiting my daughters family I cut back on blogging. It was a great break for me. Being without a computer can be so frustrating for a blogger! It's almost like losing your right hand. Glad you got a new one! Ugh I almost lost my computer a few months ago but thankfully a local geek squad fixed it haha! This is a great post. I agree with many of your points here. Having a working, fast laptop is a must-have to stay sane! That's for sure!! These are some great tips, earlier in the year a couple of keys went on my keyboard and I felt like I was going insane with having to smash them to try and get them to work. This looks great. I can't write on my laptop, and I'm having problems with it. So, this might be the next laptop I consider. 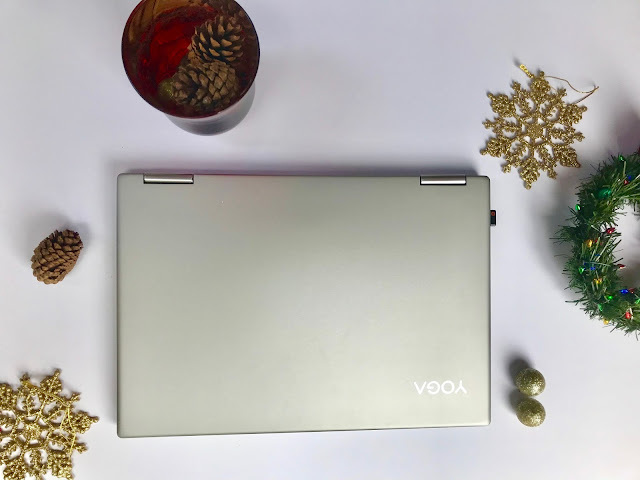 The number one thing a blogger needs is to have a good laptop! The Yoga Lenovo laptops are ones I have been eyeing forever! Oh man, I remember when my husband decided to get me a Macbook Air to do my blogging. Needless to say, as great as it is as a laptop in general, it just couldn't keep up with my needs and was always frustrating me. I think I need a new laptop also soon! I can feel you. I need an upgrade. 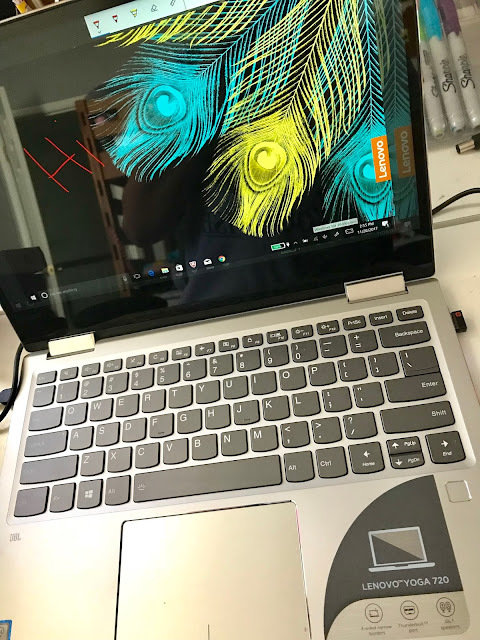 The laptop looks like very cool with great features. I totally agree with your tips and for your laptop, I think it's a boy and should be named after me "Pospi"
However, I don't love playing games as I spend lots of my time reading and trying to create a new idea online. I remember when my last laptop started getting really slow. It was always crashing and getting hung up. I was incredibly stressed out trying to make deadlines and get projects done, and everything took forever. We are going through this again with my husband's laptop. 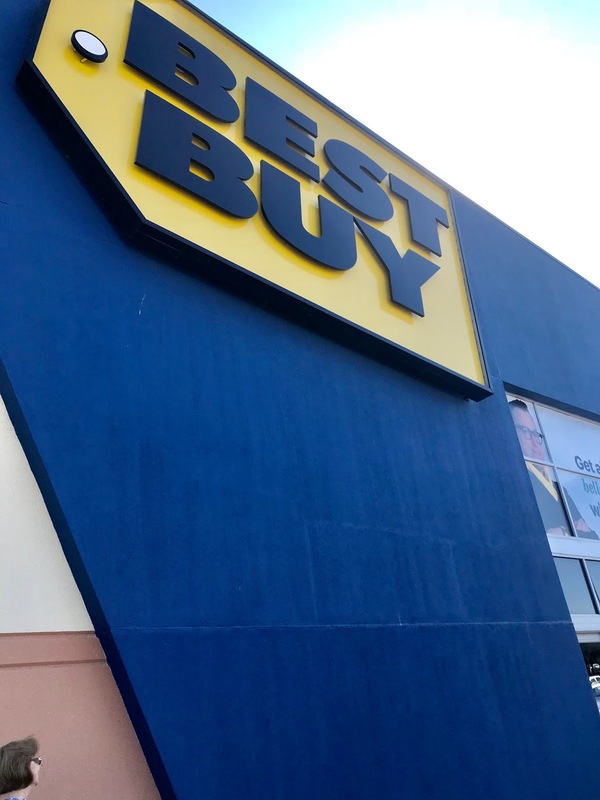 We'll have to check out what they have at Best Buy. That is one amazing machine! I love all the cool features. It is so unique from a tablet or computer! Taking little breaks and definitely making note reminders are how I stay sane. These are some great tips! Wow! 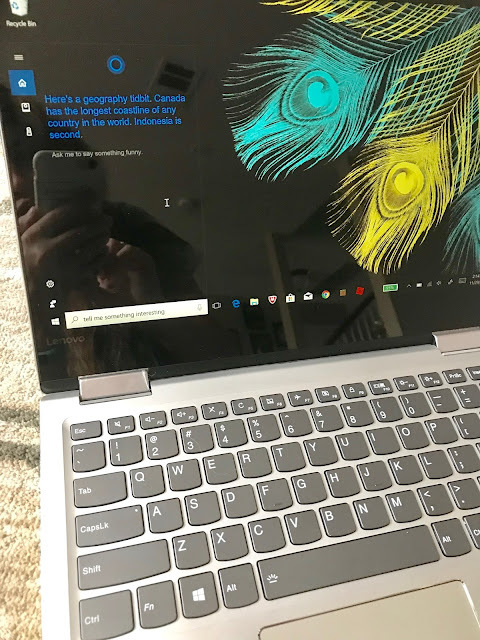 This is an amazing laptop! I think, I need to replace my old one to this! 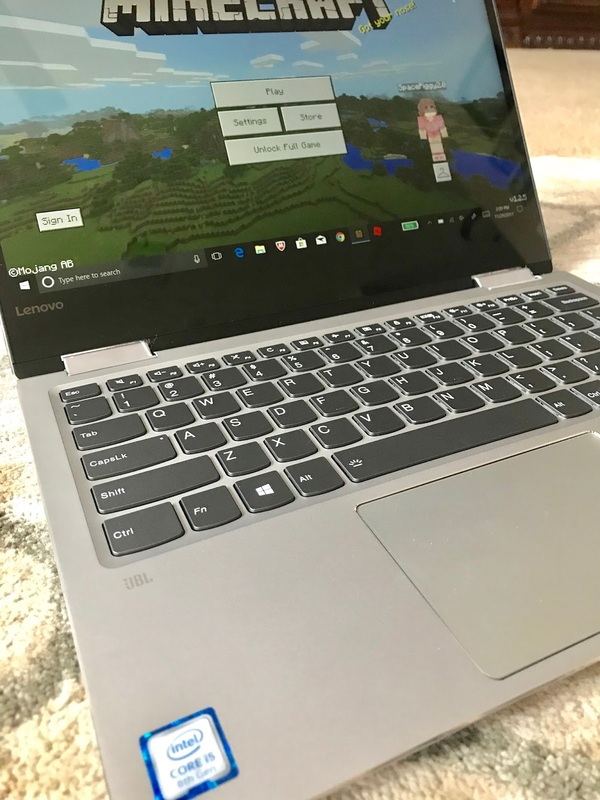 I too recently got a Lenovo laptop. I think one needs to get away from the system and take breaks, maybe a walk in the garden as this is absolutely required. My laptop reached the end of its life at the end of this summer so I took the decision to buy one that would last longer but also will allow me to run easily the Adobe suite. So I went in for a high performance Dell which cost me a fortune. I am however extremely happy with it. 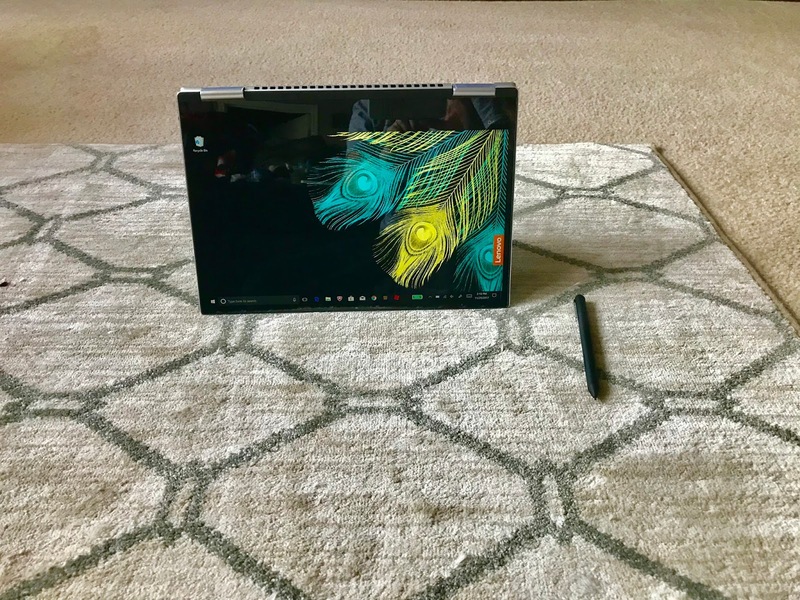 I have a Lenovo Yoga as well, from the 300 series but it's too slow for my needs. Ive been there. I had my computers go out a few times since I been blogging. Its always good to keep your phone, laptop and cameras updated. OMG I am going to think about this laptop until I get it. It looks so cool and I just got mine last year, but it is just not fast enough. These are some great tips!I think I need a new laptop soon! The day my laptop dies will be the worse in my life! It is already getting slow so I hope it will work a bit longer! Taking break is defo essential! I've gotten all of my blogging computers from Best Buy also! I also get the insurance because it's a lifesaver when something goes wrong (and I've used it plenty of times over the years!). It is amazing how something like a new computer can really make life better. I love my new laptop. This is great! I'm in the market for a new laptop and definitely want one that turns into a tablet. Definitely going to put this one on my list to consider! Wow. That is a really awesome laptop you got. Mine is old but still working. I have a desktop computer too so I can work on either. I would save some money starting next year and get myself a new one too. 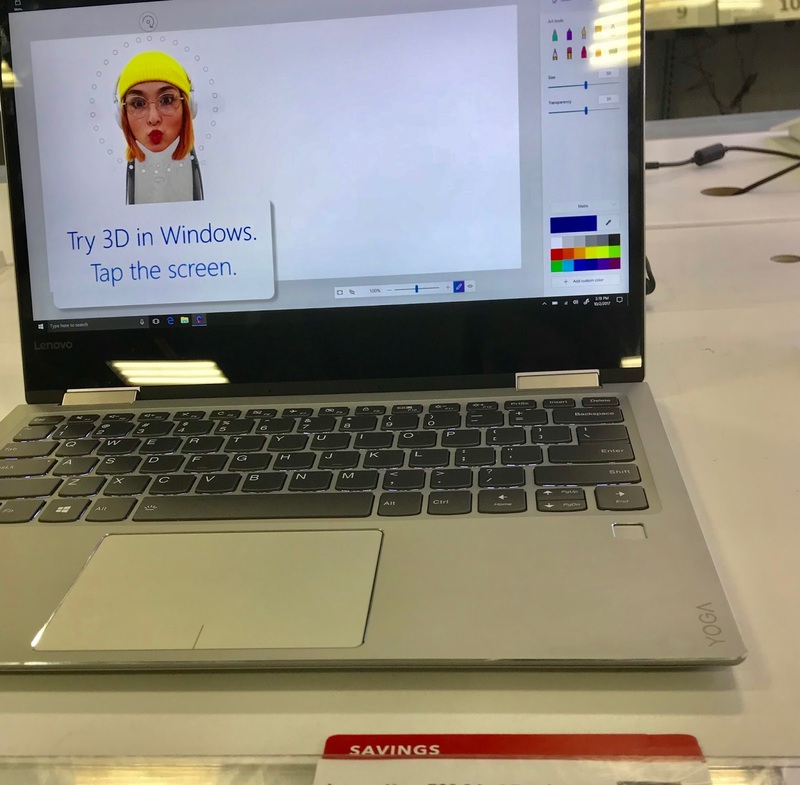 Lenovo is a good brand. My smartphone is a Lenovo and it is really durable and user friendly too. This post is so true. 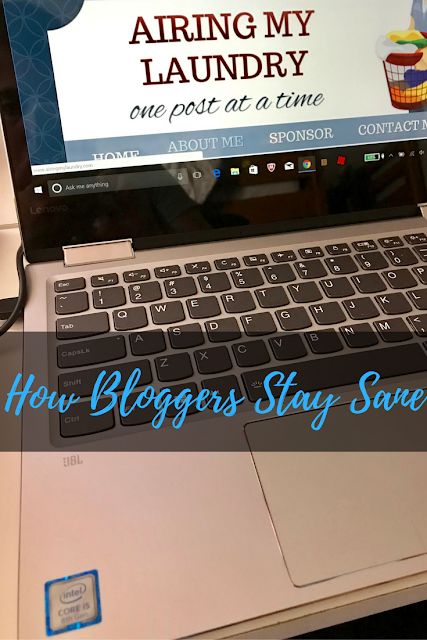 I would be a wreck as a blogger without my blessed tablet! The features on this one are nice.